If you are sharing photos to network, you never know what will happen. Someone could take the photos for their own use,or Malicious revised, you might never even know. 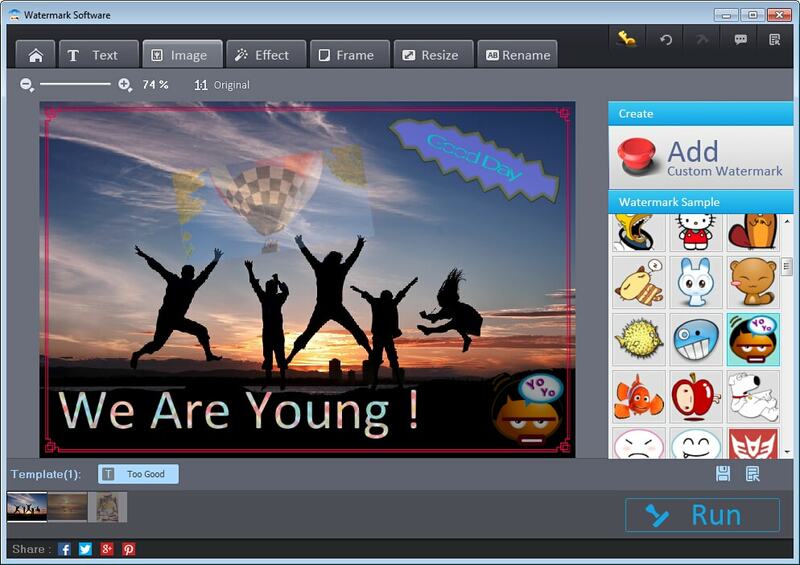 Watermark software is a professional photo watermark creator. It can helps you add text,image and logo to your pictures to protect your copyrights, only watermarking software can verifies your pictures are protected from unauthorized use. Our photo watermark software is not only watermarking tool, also can add pretty frames for your like, crop images, batch rename and photo resize. 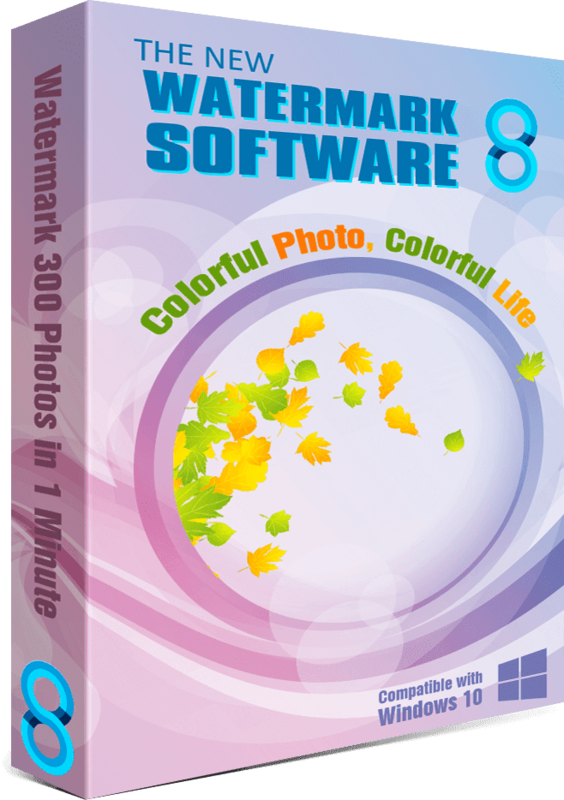 Watermark software is a fast batch photo processor and support all popular formats. Various frames/covers have been embedded. Rename batches of photos automatically and orderly in a short time. 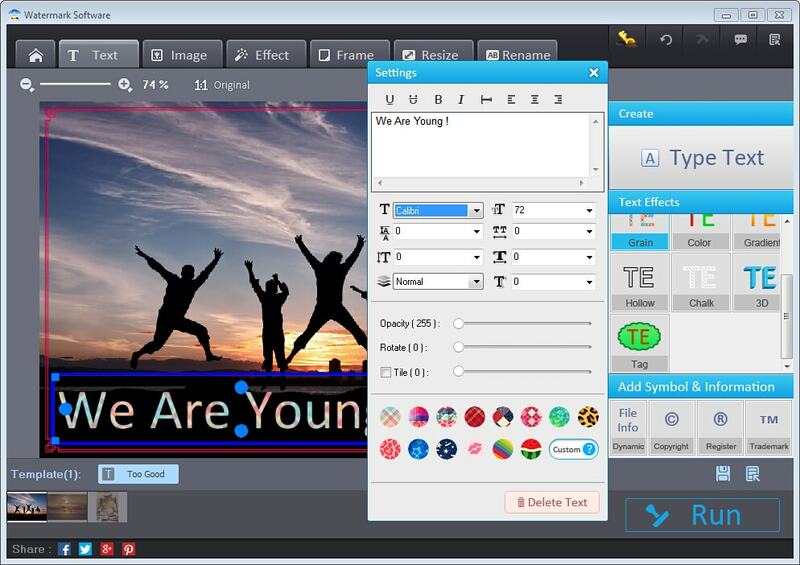 Support all formats JPG, GIF, BMP, PNG, TGA, TIF, ICO, PCX, etc.